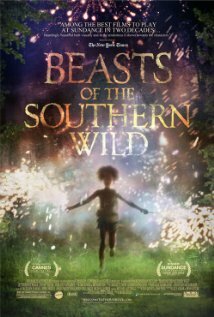 Check Out this Trailer for ‘Beasts Of The Southern Wild’!!! ‘Beasts of the Southern Wild’ looks really interesting. The story follows Hushpuppy, an intrepid six-year-old girl, lives with her father, Wink, in “the Bathtub,” a southern Delta community at the edge of the world. Wink’s tough love prepares her for the unraveling of the universe; for a time when he’s no longer there to protect her. When Wink contracts a mysterious illness, nature flies out of whack-temperatures rise, and the ice caps melt, unleashing an army of prehistoric creatures called aurochs. With the waters rising, the aurochs coming, and Wink’s health fading, Hushpuppy goes in search of her lost mother. Check out the trailer below. This entry was posted on Thursday, May 3rd, 2012 at 5:11 pm	and is filed under Film, News. You can follow any responses to this entry through the RSS 2.0 feed. You can skip to the end and leave a response. Pinging is currently not allowed. « Bryan’s Review of ‘Compliance’!! !